Back by popular demand! Get your neon moving this February with the #80sRun challenge... because the '80s will never let you down! 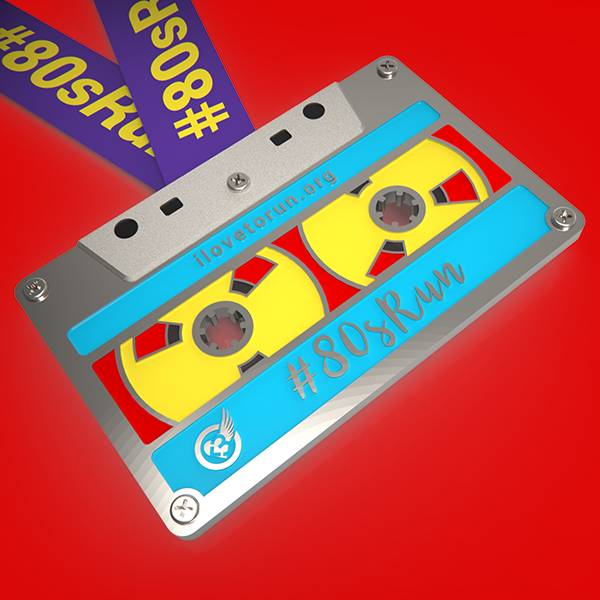 Break out that Walkman and run/walk 80+ miles for the month - earn this awesome life-size 'audio-cassette' finisher medal - Limited to 100 challengers.